Successful Urban Mobility Planning is a vital role of local governments around the world. In the EU, cities account for almost three quarters of the total population and since 2013, Sustainable Urban Mobility Plans (SUMPs) have been a requirement. This blog however looks at Brazil, and four success stories where data has been used to develop mobility plans that not only improve the quality of like of those living in the given city or municipality, but that also achieve the Federal Mobility Planning goals set by the Brazilian government. Before exploring how these mobility plans had success, it is important to explain the technologies behind their creation. The key behind each of the following cases is the use of Origin and Destination (OD) Matrices, created by analyzing the data generated by mobile phones as people travel around the city. This data is aggregated, anonymized and extrapolated and then we draw out insights about population flows. For a more detailed explanation of our Smart Steps technologies, it is well worth watching our LUCA talk, ‘Using Mobile Data in the Transport Sector’. This webinar is given by two of our senior data analysts and explains perfectly the techniques behind our LUCA Transit solution. Our first success story comes for the municipality of Guarujá, which is situated in the Sao Paulo state of Brazil. This region has a population of around 300,000 people and covers an area of approximately 55.44 square miles. A popular destination for internal tourists from the city of Sao Paulo, this area is a perfect location for real estate and tourism. Due to the importance of tourism, an urban mobility plan was needed. By using mobile CDRs (call detail records), LUCA developed an OD Matrix and geo-referenced maps of Guarujá, which Sistran Engenharia was able to use to build the mobility plan. The benefits of this project are varied. The OD Matrix was drawn up in only 2 months (when traditional methods would take between 6 and 12) and its cost was 1/3 of the average. Additionally, the data sample used was far larger, and this brought greater reliability, as well as the ability to differentiate between internal and external population flows. The same process was used in the cities of Sao Luis and Jandira. The most notable difference between the various cities in which we work is their size The city proper of Sao Luis has a population of around 1 million people, with an extra 300,000 people in the wider metropolitan area. This makes the city over three times larger than Guarujá and is the 16th largest city in Brazil. In the municipality of Jandira, we worked alongside Tranzum, a Brazilian transport consultancy, to provide Jandira City Hall with the tool needed to coordinate their urban mobility planning. 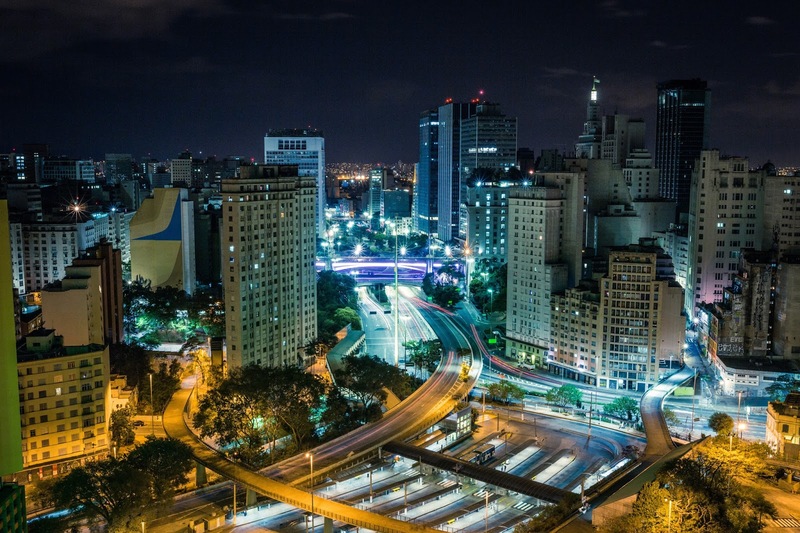 This city forms part of the wider Sao Paulo region and has a population of 120,000. The fact that an OD matrix is as effective in a city of one million people as in one of just over 100,000 shows that scale is no issue. In fact, in larger cities, where more data is created, the power of Big Data technologies is even greater. Figure 1 : Cities in the wider Sao Paulo region are using data to plan urban mobility. “With the dataset from this project we can have our Mobility Plan ready. It is important to recall that this is a very advanced way to obtain the needed information with the same accuracy. This system replaces the old one which, manually, we would do by counting people and their displacement”. The benefits of a sustainable mobility plan are numerous. If implemented successfully, it will improve the accessibility of transport systems, lead to a more attractive urban environment, improve safety and reduce pollution. At LUCA, we passionately believe in our Smart Steps technologies and in the power that harnessing data can have in developing successful mobility plans. In order to stay up to date with the latest news, follow us on Twitter and LinkedIn, and sign up to our monthly newsletter!